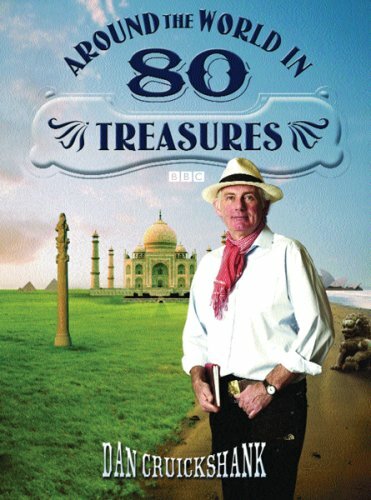 Dan Cruickshank is a leading expert on architecture and historic buildings as well as a celebrated BBC presenter, best known for the critically acclaimed Around the World in 80 Treasures and Adventures in Architecture. 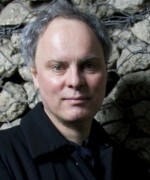 He has travelled extensively and is an Honorary Fellow of the Royal Institute of British Architecture (RIBA) with a BA in Art, Design and Architecture. 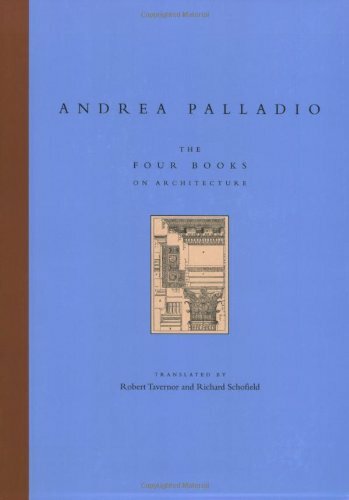 Let’s start with Andrea Palladio’s Four Books on Architecture. It’s the most important architecture book ever written, insofar as it spawned and inspired imitations throughout Europe and North America from the late 17th century almost until now. There are various translations including an English one from 1738 by chap called Isaac Webb, so it very quickly became available in English. In fact, the earliest translation was in 1710, so it was available in Italian, English, German, French and it sets out an architectural theory of what we now call Palladian architecture. It sets out the proportions and argues that beauty in architecture is a divine gift and that if one follows these proportions that Palladio, through trial, error, observation and intellect, had gleaned from his study of Roman architecture and nature, you can create beauty, architecture with harmonically related paths which really are attuned to the divine beauty. In the 18th century this book was like a bible, setting out a series of rules to copy, to inspire, and, indeed, he ends up really creating what we now term Georgian architecture which is still much loved, admired and fostered. So that book is an amazing document. It’s not a history book as much as the others, not reflecting, but it has inspired great architecture and it remains an accessible read. There are four of them so it’s quite a big read, is it? No. It’s one book with four chapters. It’s not an obscure, deep and dusty book. You can get it at most bookshops. 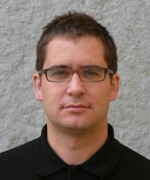 Tell me about the Architectural Principles in the Age of Humanism. Well, that’s one of those books; it’s a personal choice. I remember reading it when I was very young, when I was a teenager and it’s a companion to the Palladio in a way. It takes some of the most well-known buildings one sees in Italy, in Venice or Rome, and it explains the architectural theory behind them. It’s not a social history, but an artistic history and it’s very readable. When I read it, in a manner it changed my life. I began to understand more about these great, seemingly remote renaissance masterpieces and it gave me insight and helped me put things together in terms of the meaning of buildings. The whole debate about aspects of Palladio, for example. Palladio sets out these proportions which he says are the ideal proportions and they’re really derived from nature – 2:1 proportion, 2:3 proportion and so on – the implication being that if you create a building with those proportion systems in place, related to doors, windows and so on, you create a beauty that is divine, the nature of the universe. 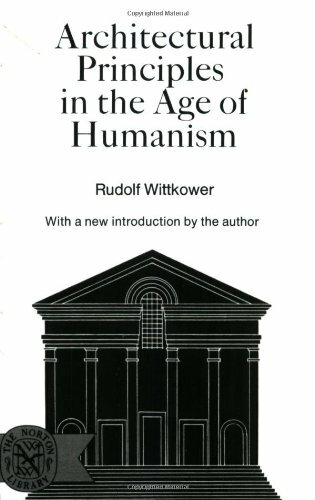 Wittkower takes this idea and observes that one’s perception of proportion depends on where one stands in space and it’s just a very interesting analysis of the great Renaissance buildings. What are the best examples of Palladian architecture? I’m here now. Near Lucca. How lovely! Lucca’s wonderful because you have that memory of the amphitheatre in the urban space. That oval space which was the amphitheatre. They have a flower market there once a month. How wonderful. Well, Palladio worked in northern Italy so there are two or three churches in Venice and the villas around Vicenza – the Villa Capra or Villa Rotunda which is very symmetrical with a dome and porticos. And in Vicenza itself there are about eight palazzi. He’s building these between the 1550s and 1580s, and the book was published in 1570. Then, of course, Palladio was a great inspiration in England in the early 17th century. So, Inigo Jones was the court architect working for James I and Charles I. He went on a little grand tour in about 1610 to Vicenza with Lord Arundel, saw Palladio’s buildings first-hand, got hold of a copy of the book, brought it back and designed for the Stuart court, the Queen’s house in Greenwich in 1620, the Banqueting House in Whitehall. These became pivotal buildings in Britain. The Civil War put an end to all that but then in the early 18th century it was all revived. There was a great quest then for a national style distinct from French baroque and hence the whole Palladian movement kicking off here – Wren, Vanbrugh, Hawksmoor. You then get all the English country houses. Colen Campbell was a leading architect – Houghton Hall in Norfolk. In England you might look at Horse Guards Parade by William Kent. So, those are examples of buildings by Palladio and Palladian buildings in England. So was the rebuilding after the fire Palladian? No, it wasn’t. The dominant style was Baroque then, but baroque is a weird word and I don’t know what it really means. It all goes back to the counter reformation – the Catholic response that was to say: ‘Beauty is not satanic like the Puritans were saying; it’s an expression of God, so incense and paintings and music are wonderful things.’ Architecturally it was all flamboyant, a style we now call Baroque, inventive and wilful, not obeying any laws of the kind Palladio was trying to promote. That became an international style and people like Wren are really building in that international style. St Paul’s is very recognisably in Baroque classical style. That’s what the Palladians challenged, the style tainted by Roman Catholicism. It became a big issue, architectural taste in the early 18th century. So which architects would Wittkower be talking about? He talks about Alberti, a fascinating Renaissance architect and theorist who wrote a big book in the 15th century before Palladio, which also talks about divine architecture. He was mostly based around Florence and built major pallazzi there in the mid-1500s. There’s a whole chapter on Palladio and this was when I first began to understand him. I took this book to Venice in the mid-1960s and there’s a whole section analysing what harmonic proportion means. All it means, in a simple sense, was that you have a set of proportions that are more than pleasing shapes. They are rooted in nature and are divine. Look at the natural world, animal skeletons, gems, flower, you see they are all in proportion. If you walk down a Mayfair street and observe the simple exteriors, you will notice the ground floor windows are one and a half times as high as they are wide. The first floor windows are twice as high as they are wide. The second floor windows are like the ground floor and then you’ll have a square window. The brickwork will be as wide as the windows and the entrance hall will be cubical, maybe. Are you sympathetic to the theory? Well, if you go to Bath or Bloomsbury, you do feel a sense of some strange beauty in the buildings, which is often quite surprising because they are simple, workaday, often quite neglected. Therefore I would suggest, yes, there must be something in it. What were you doing in Venice in the 1960s? That sounds fun. It’s always fun in Venice! I was looking at architecture, of course. Why else? 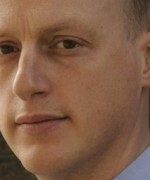 Andrew Saint, Architect and Engineer: A Study in Sibling Rivalry. That’s quite a recent book. 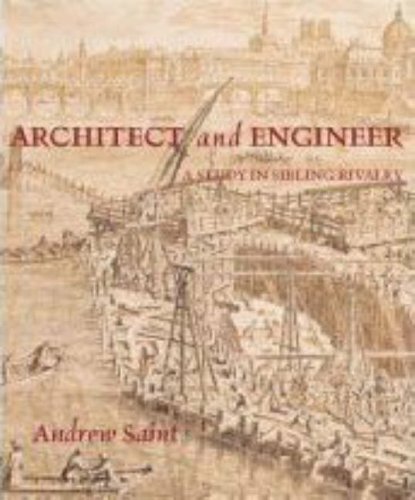 It’s one of those books – you think there’s not much more to say about 19th-century architecture or engineering, but he has a bit of a thesis and it’s a fascinating read. So many books are about the theoretical side, the symbolic, but Andrew’s is very much about engineering, about how things were made, about concrete, steel, wrought iron, the things that make buildings possible. In the process he gets into the relationship between engineers and architects and it’s a very fascinating exploration of a familiar subject. One might know the buildings, like Palladio’s, from the artistic debate but he’s talking about how they’re made, the reality of them. The sibling rivalry aspect suggests they often hate each other. Love/hate, yes. The thing is that engineers don’t exist tremendously before the 18th century. There are civil and military engineers and most engineering is of a military nature. You’ve got to bear in mind that Michelangelo and Leonardo were military engineers. The walls of Lucca are a Renaissance example of scientific fortifications, designed to offer spaces for the new technology of gunfire. Leonardo is fantastic and pioneering in his application of the science of warfare and using it to design fortifications. There was a fantastic crossover between engineering and architecture in that period and then it all got a bit odd because in the 19th century engineers became regarded as the backroom boys and not really respected as architects, but, of course, they become increasingly important as new materials are developed, wrought iron, cast iron and so forth. In the second half of the 18th century they really become the key inventors, high-profile partners in the world of making buildings. So the book talks about all that really. Architecture as a profession has now reduced tremendously but architects are still credited more than other professions in the making of things. Norman Foster, he’s basically an engineering practice. 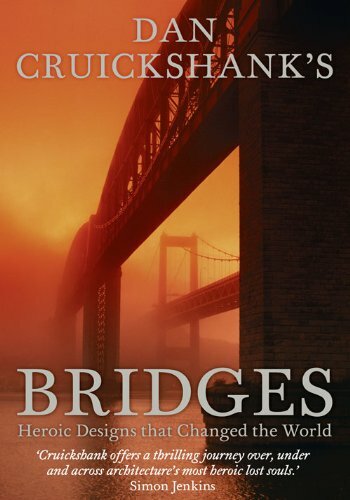 There’s a big section in the book about bridges – it’s an overview. You’re going from Russia, to China, to America, to Europe. It’s all-embracing. If you’ve ever been round a cathedral and enjoyed it, or been amazed by a fantastically ambitious bridge then this is a good book to read to understand the process behind it. It’s such a weird and wonderful world, architecture from the 20th century and a lot of people find it very confounding, not very appealing. Modernist buildings, high-rise buildings, office towers – people just feel that it’s not their world. 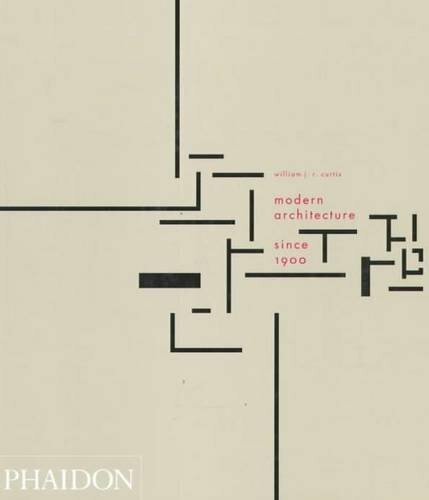 This book’s interesting if you want to try and understand the artistic forces, the technical forces and the debates that took place from the 1900s to now, leading to the creation of big modernist buildings which often seem quite daunting. This is a very good introduction and it’s readable for the layman. Anyone who’s curious about contemporary architecture – what’s all that about post-war housing blocks, Parkhill, what’s the theory, what’s the intention? They are unsuccessful housing but they came from the highest principles of trying to deal with Victorian slums with egalitarian and enlightened public housing. All very admirable things. This book isn’t an apology but offers an explanation and understanding of buildings that we very often find inexplicable. Do you like any of the inexplicable buildings? Do you like Centrepoint? I do, funnily enough. I did a series about wonders of the modern age, a five-part series looking at modernist architecture around the world and it was an eye-opener and I had to tackle all these issues, buildings I find quite daunting. For example, I went to Unité d’Habitation in Marseilles, the great prototypical Corbusian slab-block high-rise housing, which so many British public housing blocks were based on in the 60s and 70s, and I tried to explore it and understand it. There is, of course, a poetry and a ruthless beauty at work. Many modernist architects were grounded in Classicism and applied the proportional principles. The Seagram building in New York, the prototype of so many office buildings… looking at that, all the proportions are Palladian, so it’s interesting. These guys were not ignorant; they knew what they were doing but they were just trying to find a new way of doing things. Often the layman finds it confusing. What do you think of Stalinist stuff? Well, it’s interesting, because all the early Soviet stuff is modernist, but then Stalin had this great decree in the 30s and these guys were sent into limbo if not gulags, and from the early 30s Soviet style is no longer the revolutionary modernist constructivism, but it becomes neoclassical on a massive scale. It’s extraordinary but incredibly reactionary. The Metro in Moscow is incredible. He’s making underground Tsarist palaces for the people. Stalin, or the people around him, recognised that the ordinary working man in Russia did not understand or like modernist architecture. It may have been theoretically revolutionary but it didn’t work, so he goes back and promotes a return to Tsarist classical architecture. Really bizarre and fascinating. This is one of those great books. A lovely writer, lovely to read, very elegantly expressed. It was a very, very new idea at the time [the 1970s] to paint the much-loved English country house as social and architectural histories. 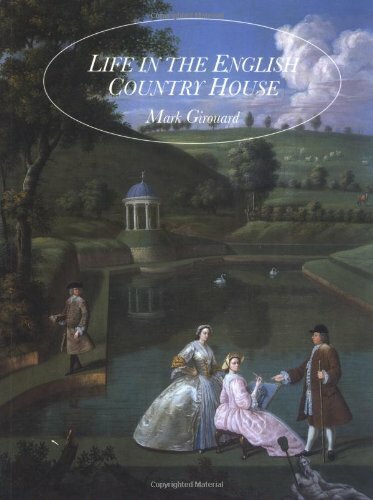 So, who built it, how it was lived in, how the servants operated, placed very much in the socio-political context of the time, mostly in the 18th century. So, giving familiar buildings a new meaning, looking at these buildings afresh and beginning to understand them. It was hugely inspirational at the time. You don’t just look at the architecture, but also at the lives of the people who made them and occupied them and how the buildings affected life. It seems so obvious but it often hasn’t been done – architectural history with social history. Which houses does he talk about? I think he talks about Houghton, Colen Campbell, and about some of the villas of the 1750s. He takes the villa plans and explains how the plan was created for a very specific form of life with parallel worlds. Servants operated at one level, discreet and out of sight, and also for comfort and public entertainment. You’ve got a circuit of interconnected rooms in the house and rooms were given different shapes for variety – square, octagonal, round. You go to these places and you don’t really understand them but this shows how the plan evolves. Take the corridor, for example. We take them for granted but they were a kind of innovation in the 18th century. Traditional houses up to the end of the 17th century tend to have rooms connected one to the other – you walk through a room to get to a room. If you think of Wilton, for example – Inigo Jones was involved – in the 18th century a whole corridor system was added on. If you go to Wilton you’ll see. It simply allows you to go from room to room without passing through. If you think of the Elizabethan house they’re often quite long and thin but you walk through one to get to the other. Take Blenheim, for example, it does add a corridor quite early which becomes a parallel processional room. Aren’t they like cloisters though? Well, cloisters are cloisters. If you take Wilton, then what was added is quite cloister-like, as it happens, in the period of gothic revival. But cloisters monastically are separate spaces for contemplation and prayer, they’re not circulation spaces. You can begin to unpick plans with this book and these were changing times with people beginning to think about comfort and convenience. Often you want to get away from the servants and you want different circulation systems, different accommodation. Keep away.